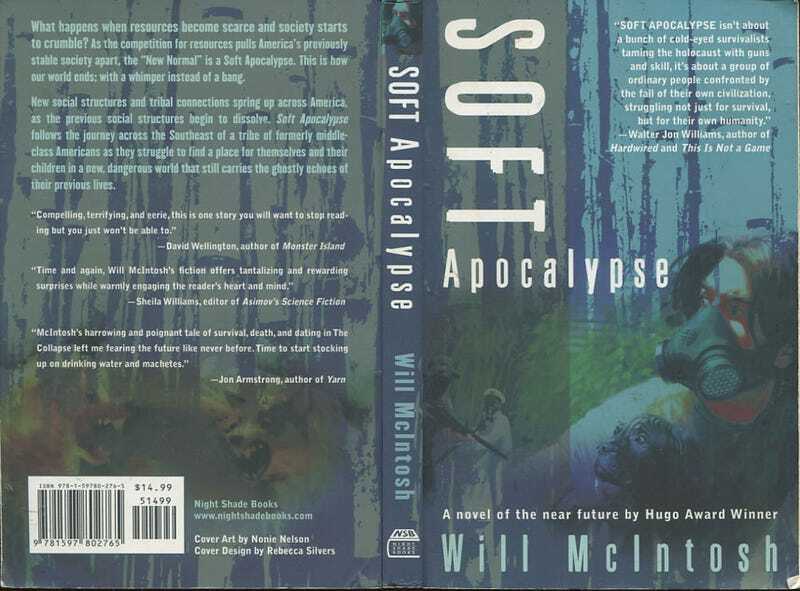 Get Will McIntosh's Debut Novel Soft Apocalypse For Only 99 Cents! We’ve praised Will McIntosh’s futuristic action and thought-provoking premises in novels like Love Minus Eighty and Burning Midnight. His topics range from cryogenically preserved brides to other-worldly horror. But his debut, Soft Apocalypse, is a fascinating vision of a slow collapse of civilization—and now, it’s just $0.99 on Kindle and Nook!